No homeowner wants to worry about how efficient their HVAC systems are, or if their plumbing will back up. When you work with Ace Hi Heating, Plumbing & Air, you can rest assured knowing that your home systems are well taken care of. Whether it’s simple maintenance, a broken part that needs replacing, or a full system installation, we can provide quality service and reliable products. Our HVAC technicians are dedicated to helping each customer understand how to maintain each system so that they will last as long as possible and remain efficient. Ace Hi Plumbing, Heating & Air has been providing Estes Park and the surrounding communities with quality HVAC services since 1996. Whether your AC needs repair, you need a new furnace installed, or your kitchen faucets are leaking, our technicians have worked with a variety of systems, makes, and models and we know what it takes to diagnose a problem and quickly repair it so you can get back to living your life. Air conditioning: Capacitors, coils, motor, etc. Heating: Thermocouple, gas valve, blower motor, etc. Plumbing: Clogged drains, video inspection, faucet and sinks, etc. 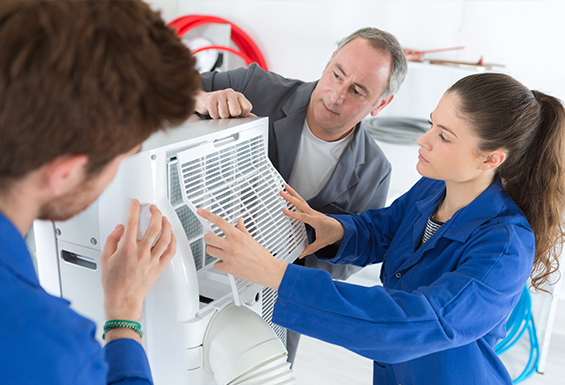 Homeowners want to know that their air conditioning system will work when they need it to. Ace Hi is capable of servicing a range of makes and models, quickly diagnosing the problem, and providing repairs that last. When you need HVAC service, call an expert today. Don’t wake up to a cold house and find that your furnace or other heating system has failed. We offer regular maintenance that will catch any potential issue as well as repairs and installation so you can benefit from improved air quality and reduced energy costs. Our contractors provide video inspection technology so there is as little disruption to your home as possible. 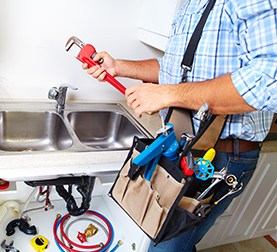 From small issues like leaky faucets to large plumbing excavations, you can trust that we will provide safe and efficient service. Don’t just work with any Estes Park HVAC company, call a team of professional, reliable, and knowledgeable experts will can ensure that repairs are done right the first time.